A West Virginia lawmaker opposed to LGBT rights has described LGBT rights advocates as “brutal monsters” and the modern Ku Klux Klan. 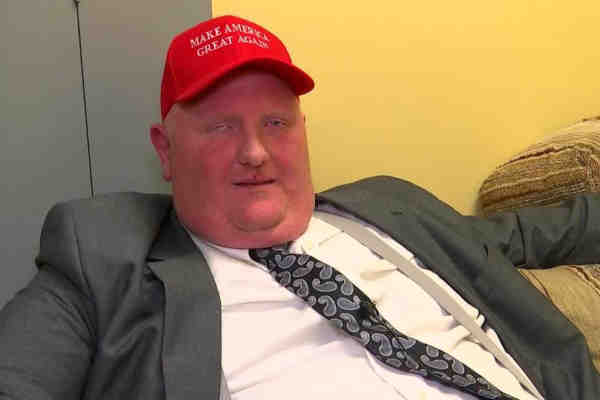 Delegate Eric Porterfield, a Republican from Mercer County, first criticized the groups during a House committee meeting working on an amendment that sought to prohibit cities and municipalities from enacting ordinances that prohibit discrimination based on sexual orientation and gender identity. The groups, he said, “represent a socialist agenda” and are “opponents of freedom” and “brutal monsters.” He said that business owners should be allowed to decide if a “lifestyle” is unacceptable to them. He claimed that criticism of his remarks by Democrats on the House floor had incited a hate crime against him.